Welcome to Beachfront Viscount, where your absolute beachfront holiday begins. The friendly staff invite you to relax and enjoy the magnificent ocean views as you relax on your private balcony. 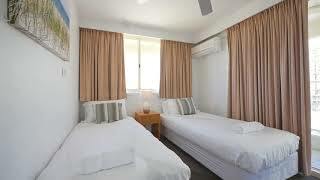 Larger than average two and three bedroom self-contained holiday apartments offer comfort. Each apartment is fan cooled (some upgraded apartments have air-conditioning). The entire rooftop is dedicated to an entertainment area comprising a large family spa and north and south facing barbecue areas. Panoramic views of the Gold Coast and Hinterland complete this outstanding area. The complex features a large outdoor heated swimming pool, perfectly positioned beachside. 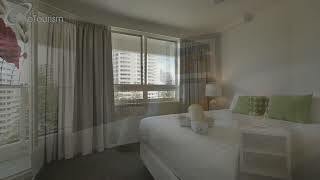 With such and outstanding location, every apartment overlooks the beautiful patrolled beaches of Surfers Paradise and Broadbeach. Beachfront fully self contained three bedroom modern, all with air conditioned lounge area. Some have air conditioners in bedroom as well as fans. 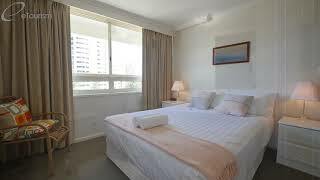 Their two bedroom fully self-contained apartment offers comfort, space and guaranteed ocean views. Small balcony but large enough to sit and watch the ocean as you relax in the comfort of fan cooled apartments and natural ocean breeze. Bedding configuration one queen and two single beds. Foxtel is available and Broadband also available . This can be purchased with a credit card on a time lapse basis. Hair dryer available at reception for no charge. Minimum night stay three nights. 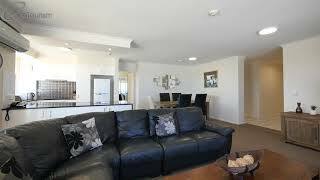 Three bedroom fully self-contained apartment that offers comfort, space and guaranteed ocean views. They invite you to their paradise - relax with the comfort of ceiling fans (no air-conditioning) enjoy the natural breeze. Choose from bedding configuration of two queen beds and two singles or one queen and four singles (subject to availability). Foxtel and Broadband available. Broadband can be purchased with a current credit card and is on a time lapse basis. Hairdryer available at reception no charge. Absolute ocean views some with air con unit lounge only and at discretion of owner. Balcony to enjoy the sun and surf. Broadband with credit card charge and Foxtel at not charge. Fan cooled bedrooms.